E3 is here again ladies and gentlemen, and kicking it off this year was Electronic Arts. Their (not) press conference this year was titled EA Play, and it had quite a few strong moments, and some not as strong. For this post, I’m just going to focus on the highlights of their presser; what that amounts to is that I’ll be skipping over the sports, mobile, and DLC talk. Titanfall was a big success when it launched in early 2014, and Respawn is looking to improve upon its strengths for the game’s sequel that is coming this fall. Vince Zampella, one of the founder’s of Respawn and original creator of Call of Duty, took the stage to first give gamers a brief look at the game’s multiplayer. Zampella announced that the sequel would feature six additional titan classes, and the trailer showcased many new additions to multiplayer including grappling hooks, magnet grenades, teleportation pads, and new titan abilities including a ground pound and a massive laser attack. Next, Zampella spoke about the singleplayer that they have added for the sequel. He said it will expand the narrative of Titanfall and explore the distinct link between Titan and it’s Pilot. The campaign will follow Titan BT-7274 and rifleman Jack Cooper, who link together based on battlefield necessity rather than choice after BT’s original pilot dies. Respawn announced their will be a multiplayer stress test later this summer, before the game launches on October 28th for PS4, Xbox One, and PC. Bioware took the stage at the conference to talk about Mass Effect Andromeda, the long in development next entry into the Mass Effect franchise. The team didn’t have much to share, but gave eager fans a two minute long trailer that was partially gameplay, partially cinematics, and partially behind the scenes work. EA said they will reveal more about the game this Fall, but the lack of a gameplay demo or cinematics puts serious doubt into my mind that this game will launch in it’s current March 2017 launch window. What we saw however was great. The player will explore new worlds on their ship, The Tempest, that are filled with new races and seemingly some familiar ones as well, with an Asari and Krogan being visible in the trailer. 3. A lot of EA studios are working on Star Wars. EA has the Star Wars license for the foreseeable future and are making the most out of it. Next year, EA revealed we will see a sequel to Battlefront, and the following year we will see the release of Amy Hennig’s long in development title from Visceral Games (developers of Dead Space and Battlefield Hardlines). Respawn is also working on their own third-person action adventure game of Star Wars that has God of War III director Sitg Asmussen in the lead. It looks like, if the mo-cap footage was saw was any indication, that it will focus on Jedi. Jade Raymond (former Assassin’s Creed lead developer) and her studio in Canada, Motive, are assiting in development of Visceral’s Star Wars title and next year’s Battlefront which is being developed by DICE. On top of all of that, Criterion, best known for the Burnout franchise, are apparently working on Star Wars Battlefront VR missions for Playstation VR. Below is EA’s video on their Star Wars games, including a brief glimpse at gameplay from Visceral’s game. 4. Battlefield 1 wows with massive battlegrounds and Zepplin crashes. DICE closed the show by showing off their WWI shooter, Battlefield 1. In the trailers and gameplay sessions that followed we were shown new footage of some incredible spectacle moments including dog fights in single engine “Red Baron”-esc planes, tank and artillery in action, and zepplins being flow and crashed. The level-ution that was so highly touted in Battlefield 4 seems to be back to a certain degree, as the zepplin crashed in the sleepy French village around which the two teams were fighting. My descriptions do not even do it justice, so watch both the trailer and gameplay footage I was able to find below. And those are the best moments from EA’s E3 press conference. What was your favorite moments? Anything you wish we would have seen but didn’t? Let me know in the comments below! This entry was posted in Gaming and tagged Amy Hennig, Battlefield, Battlefield 1, E3, E3 2016, Mass Effect, Star Wars, Star Wars Battlefront, TitanFall on June 12, 2016 by leagueofmediocregamers. PlayStation E3 Press Conference recap! Sony’s E3 press conference is where dreams come true. While watching this press conference a grown man wept at the announcements, and we all cheered with joy. I apologize for not have much objectivity, but the excitement this created is unparalleled. Sony opened with the long awaited Last Guardian. Yes, The Last Guardian was shown for the first time in nearly a decade. We got a six minute gameplay demo of the game, and it was revealed it will be launching on PS4 in 2016. Next up, Guerrilla Games unveiled their newest IP called Horizon: Zero Dawn. It is set post apocalypse, when humanity is rebuilding all while dealing with robotic animals that look like dinosaurs that roam the landscape. No release date was announced, but we got a significantly long demo for the game, which culminated in our heroine fighting a mechanized T-Rex of sorts. Square Enix showed a new trailer next for a new Hitman game with a CG trailer. No release date or any real info was given, but Square does have their own press conference tomorrow, so expect info then. Ubisoft followed them announcing exclusive content for the PS4 version of Assassin’s Creed: Syndicate would have exclusive content on PlayStation. They also showed off a trailer for the game’s secondary lead, Evie Frye. Capcom revealed two new characters for Street Fighter V: Birdie and the returning Cammy. PS4 owners will also get an exclusive beta starting on July 23rd. Expect SFV in early 2016. Hello Games took the stage next and showed off an extended walkthrough of their upcoming sci-fi exploration game No Man’s Sky. Sean Murray of Hello Games showed the massive scale of the universe, and let us see just what we’d do in the game. We will be exploring new worlds, scouting new life, and battling the NPC forces that prevent you from doing this. No release dates were announced. Media Molecule returned to the PlayStation stage to demo their new game called Dreams. The unique game will let players create their own dream worlds where anything is possible. More of the game will be shown at Paris Games Week, but no release window was given again. We also got a trailer for the upcoming indie title Firewatch, which again had no release window. Adam Boyes took the stage next to announce the new Destiny Expansion: The Taken King. It was exactly what was in the leaked document, and Boyes promised that the new expansion would give new supers, as well as PlayStation exclusive maps, strikes and gear. It launches on September 15th. Next up we had two Final Fantasy reveals. One was obviously bigger than the other. First was a reveal of a Chibi-style World of Final Fantasy. But never mind that, Sony and Square Enix announced a remake of Final Fantasy VII. A full blown remake of the beloved PS One classic. No release date was announced but honestly, don’t expect it anytime soon. Dreams continued to be fulfilled with the announcement of a Kickstarter for Shenmue 3. That’s right folks, the long awaited game will be made if fans fund the $2 million goal on Kickstarter. You can fund it here. It’s expected release window is late 2017, so it’ll be a while. We also got new trailers for Batman: Arkham Knight which launches next Tuesday, and four new games from Devolver Digital. Sony went on to talk about Project Morpheus and talked about a few titles that they are bringing to it. From there, they announced their streaming tv service PlayStation Vue will have an ala carte style of channel purchasing. So, if you don’t want HGTV, you don’t have to get it. Sony’s Andrew House announced a new deal with Activision, revealing that all DLC for Black Ops III will be coming to PS4 a month early, a similar deal to Xbox’s in previous years. We got a four player co-op campaign demo for Black Ops III as well as a multiplayer reveal trailer. It looks like it takes a lot of ques from Titanfall as well. Check them both out below. Star Wars was next, with Sony announcing an exclusive limited edition of Disney Infinity 3.0 that will include the Rise against the Empire playset, and it will be the only place to get it for the first month. This limited edition will also come with a Boba Fett figure, which will once again be exclusive for a month. DICE took the stage next to show off their survival mode, which pits four players against 15 waves of co-op. It all looks really good. Look for Infinity in September, and then Battlefront on November 17th. Finally, PlayStation closed with an all new demo for Uncharted 4: Thieves End. This extended gameplay demo was a return to the swashbuckling style of previous games with Nate and Sully fighting through a bazaar and running away in a 4×4 from a massive APC. They were chasing Nate’s brother, only for it to end with an awesome grappling hook moment. Uncharted 4 launches sometime in 2016. Holy cow. PlayStation announced a ton of things that everyone has been waiting for, but no real massive titles exclusive for this year. What was your favorite moment of the presser? Let me know in the comments below and get hyped for even more E3 tomorrow with Nintendo and Square Enix! This entry was posted in Gaming and tagged Call of Duty, Call of Duty Black Ops 3, Destiny, Dreams, Final Fantasy, Final Fantasy VII, Horizon, No Man's Sky, Playstation, Playstation 4, PS4, Shenmue, Shenmue III, Star Wars, Uncharted 4 on June 16, 2015 by leagueofmediocregamers. EA 2015 E3 press conference recap! Next up, EA revealed the new Need for Speed reboot. It will launch on November 3rd, and looks just plain gorgeous. Your car will have a new dynamic camera that follows your car in a way we haven’t seen in any racing game before. Their is also a really weird live-action footage for the game’s cinematics. It’s launching on PS4, Xbox One and PC on November 3rd. Star Wars: The Old Republic was featured next, with Bioware Austin revealing their new expansion Knights of the Fallen Empire. Bioware promised a return to Bioware style storytelling. It will launch this October, and come free to all subscribers of The Old Republic. Note that it is a free to play game, so non-subscribers will have to pay for it. EA also promised more betas and early access for their game than ever before. EA revealed a small surprising game next with Unravel. Honestly, this game stole the show. You play as a yarn doll that uses itself to traverse his environment. The trailer really brought a tear to my eye. I don’t know when it comes out, but I will be buying it day one. Next up we got a big blowout for Plants vs Zombies: Garden Warfare 2. GW2 will feature six new classes and EA revealed a new game mode called Graveyard Ops, that feature the Zombies on defense now. They showcased the new classes including The Imp, Captain Dreadbeard, and Super Brainz. Zombies will also have access to the Z-mech. GW2 will have split screen co-op and A.I. battles. Characters will be able to be transferred from GW1 to 2, and it will launch in Spring on PS4, Xbox One, and PC. Mirror’s Edge: Catalyst was shown next, and promised to tell the origin story for Faith, Mirror’s Edge’s protagonist. Player will take on Gabriel Kreuger, the leader of a city without personal freedom or privacy. It will seemingly be an open-world game and have no “levels” but rather missions. It is playable at E3, and launching on February 23rd, 2016. Naturally, it closed with the biggest gun of them all: Star Wars: Battlefront. The footage below was all captured on a PS4, and honestly looks incredible. We got to witness “Walker Assault” on Hoth, and the footage was from both the Empire and Rebellion perspective. Honestly, the gameplay speaks for itself, and it’s awesome. We got to see normal gunfights, AT-ST combat, AT-AT walker control, Snowspeeders using tow cables, and even playable Luke Skywalker and Darth Vader. Just watch it. Battlefront launches November 17th on PS4, Xbox One, and PC. I’ll be honest, I didn’t bother to include EA’s talk of mobile, but that was there. I didn’t care about any of it, and honestly you probably didn’t either. What was your favorite part of the presser? What are you looking forward to of all of EA’s offerings? (It was Star Wars wasn’t it?) Let me know in the comments! This entry was posted in Gaming and tagged Battlefront, E3 2015, EA, Mass Effect, Mirror's Edge, plants vs zombies, Star Wars, Star Wars Battlefront on June 15, 2015 by leagueofmediocregamers. Here is Episode 18 of the LMG Podcast: Advancing Warfare toward The Empire! On our 18th episode Max and Bobby talk all about Call of Duty: Advanced Warfare and how Bobby is sold on it purely because of Kevin Spacey. On top of that, we hear the big news of the week, including Disney Infinity Marvel, Madden 15, and Nintendo’s big E3 plans. Closing out the show, Bobby goes onto a tirade about how the Empire did nothing wrong, and Palpatine was the hero the galaxy needed. All of this and more on our 18th episode Advancing Warfare to The Empire! May the Fourth be with you! This entry was posted in Gaming and tagged Advanced Warfare, Call of Duty: Advanced Warfare, League of Mediocre Gamers, League of Mediocre Gamers Podcast, LMG Podcast, Podcast, Star Wars on May 4, 2014 by leagueofmediocregamers. Stashwick is likely best known for his role as Ash Murhpy on Justified, his stint on CW’s vampire drama The Originals, and his take on Dracula for CW’s Supernatural. Stashwick’s credits as a write are much slimmer, but wrote the pilot of SyFy’s Clandestine, and writes a web-comic called “Devil Inside”. Stashwick previously worked with Amy Hennig on Uncharted PS4 as an actor (even voicing the game’s teaser), before Hennig departed the studio last month. Little is known for certain about Visceral’s Star Wars game, but it is heavily rumored that the game is an open-world action game being developed by both Visceral and EA Canada, who is currently finishing development on EA Sports UFC. The game must be relatively early in production though, if they are adding Stashwick and Hennig as writers, not to mention Hennig will be the Creative Director as well. What do you think of this decision? 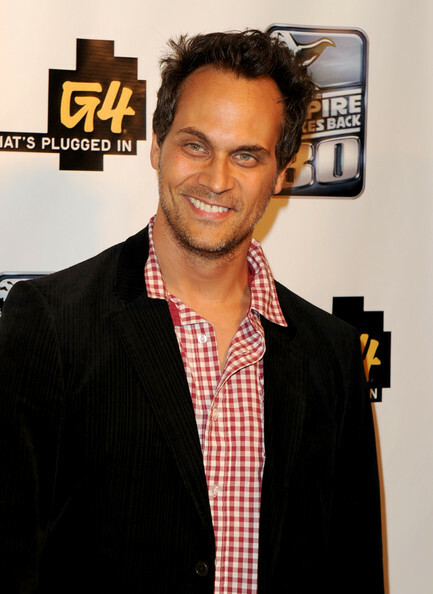 Will Stashwick bring the right goods to EA’s next Star Wars game? Let me know what you think in the comments! This entry was posted in Gaming and tagged Amy Hennig, EA, EA Canada, Star Wars, Todd Stashwick, Visceral on April 11, 2014 by leagueofmediocregamers. This entry was posted in Gaming and tagged George Lucas, League of Mediocre Gamers, League of Mediocre Gamers Podcast, LMG Podcast, Nintendo, Podcast, Star Wars, WWE on April 9, 2014 by leagueofmediocregamers. Visceral is heavily rumored to be working on an open world adventure game set in the Star Wars universe. Previously, EA Canada, who has been linked to working with Visceral on the project, has had job listings for an open world game set in the Star Wars universe. Adding Amy Hennig to the mix of any game will almost certainly make it even better then it could have been, and seeing her joining a Star Wars title is amazing news. 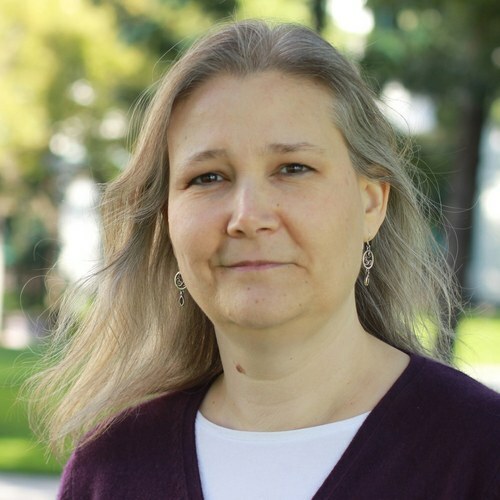 We wish Amy Hennig all the best with her work on the Star Wars franchise. This entry was posted in Gaming and tagged Amy Hennig, EA, EA Canada, Electronic Arts, Star Wars, Visceral on April 3, 2014 by leagueofmediocregamers.